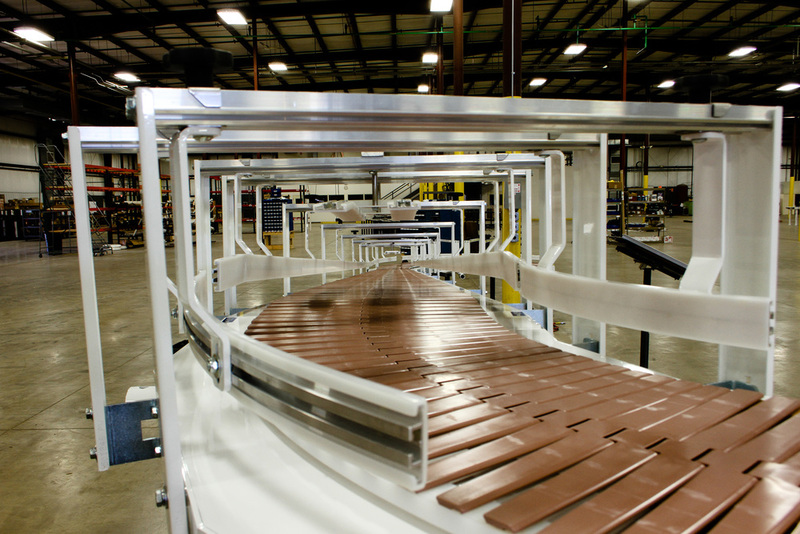 When it comes to moving product from one location to another, it does not get simpler than a table top conveyor. 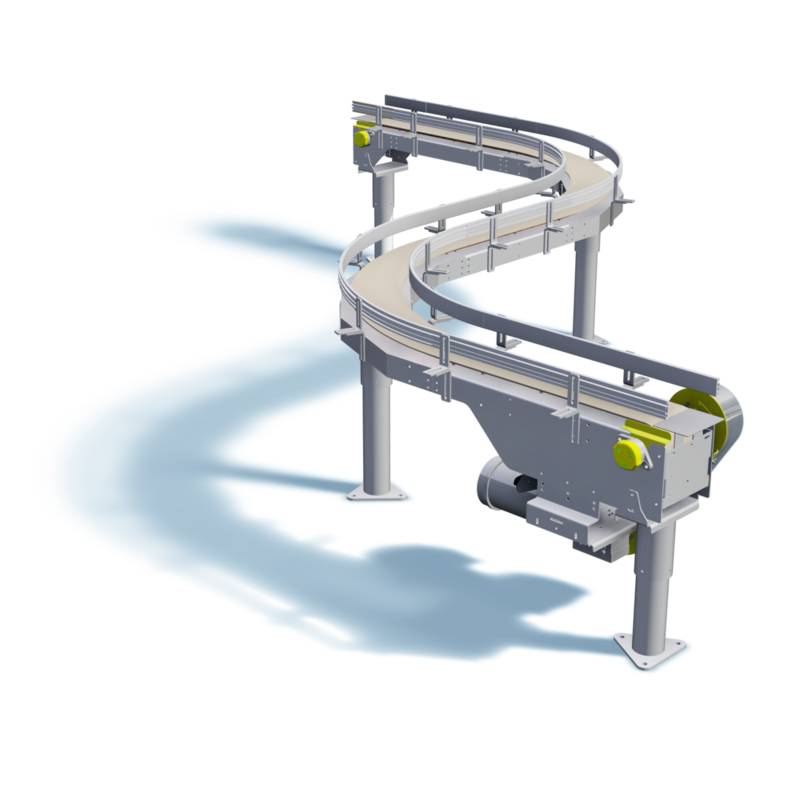 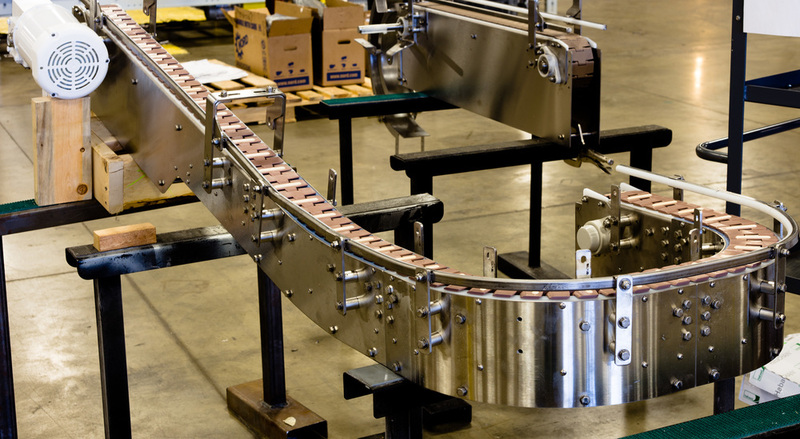 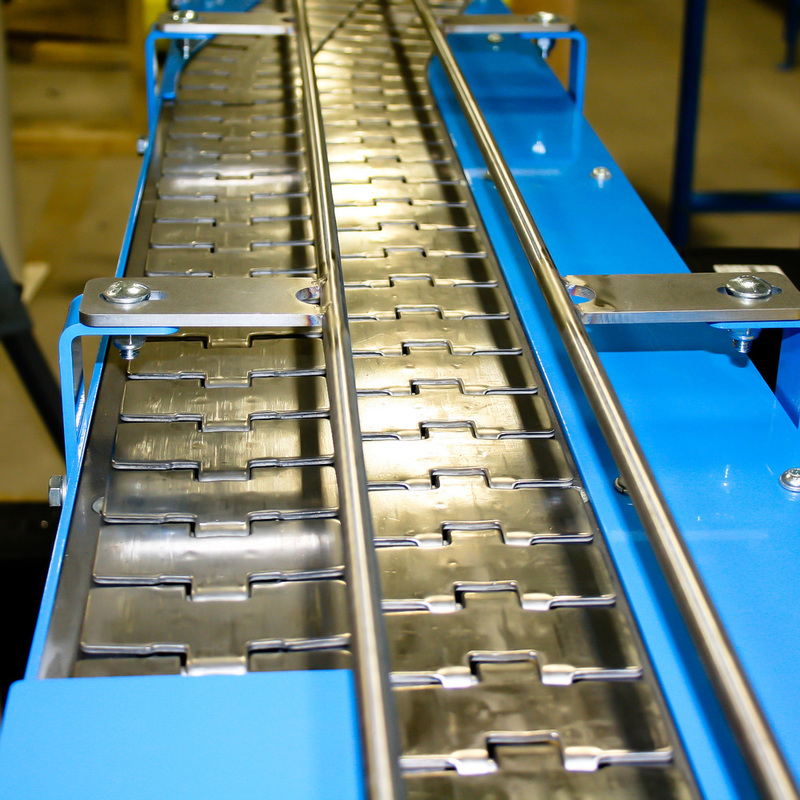 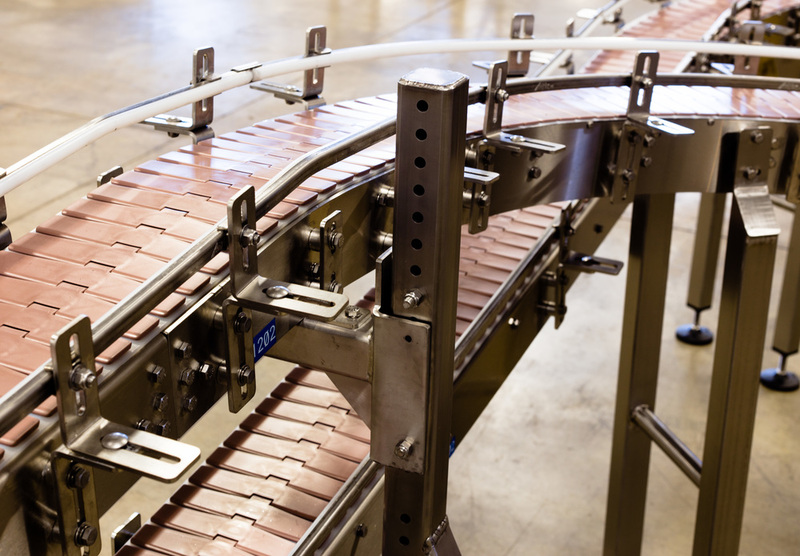 A table top conveyor chain is created by joining together a series of slats or links, similar to a bike chain. 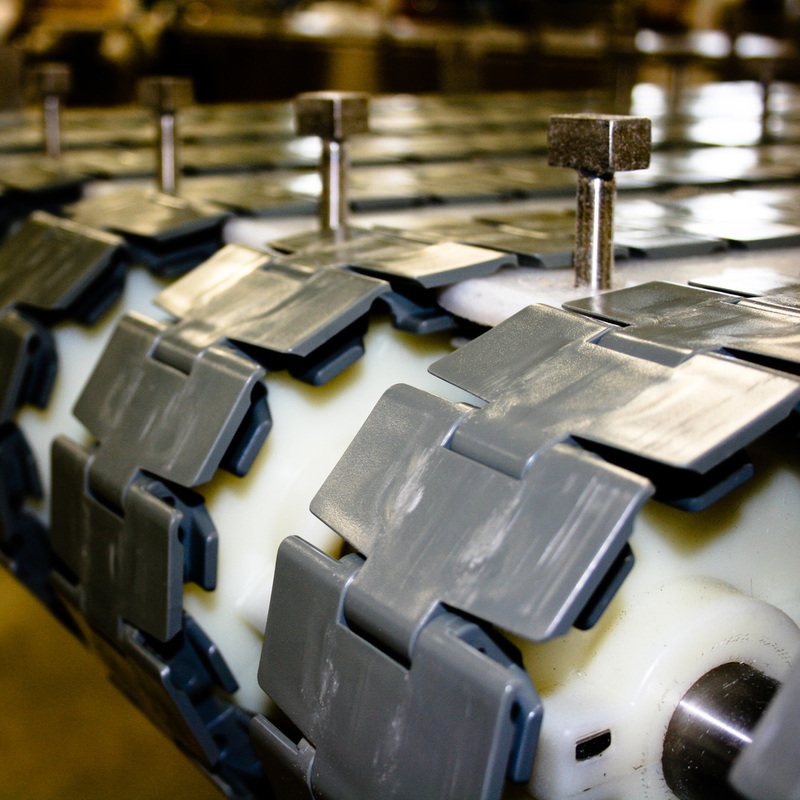 These linked slats are then guided along a path made by a series or wear strips, usually made of oil, impregnated wood, or ultra-high-molecular-weight polyethylene (UHMW). 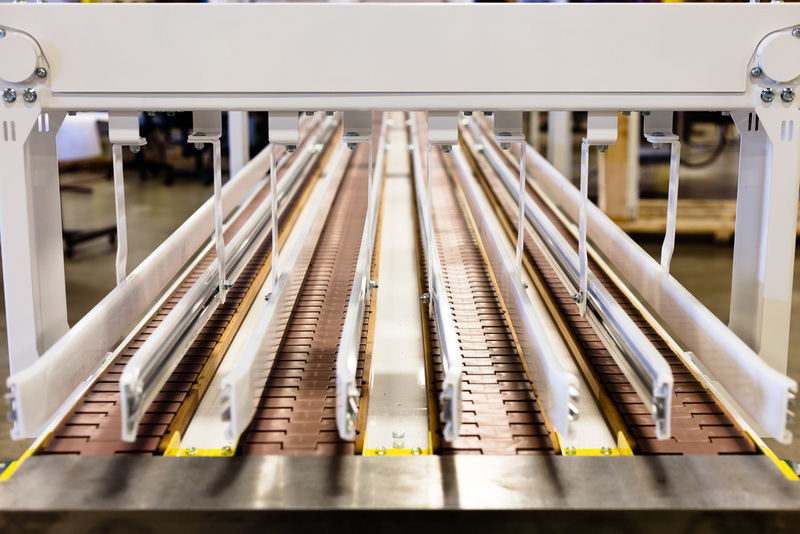 The strips are held in place by a metal frame which is supported by either the floor on legs or suspended from the ceiling on drop down hangers. 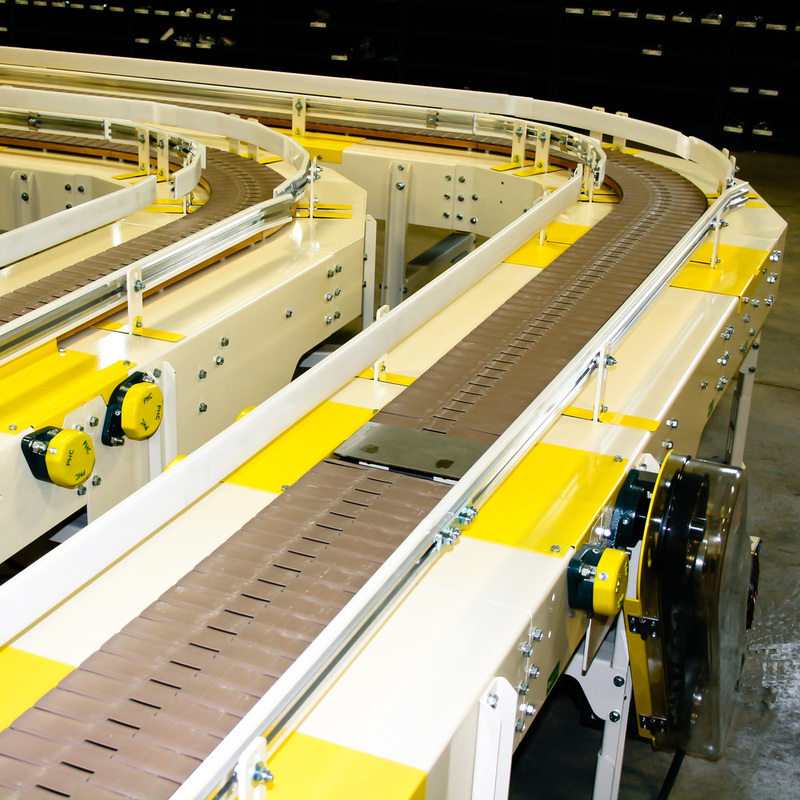 The simplicity of table tops makes it a very versatile chain for several other types of applications as well. 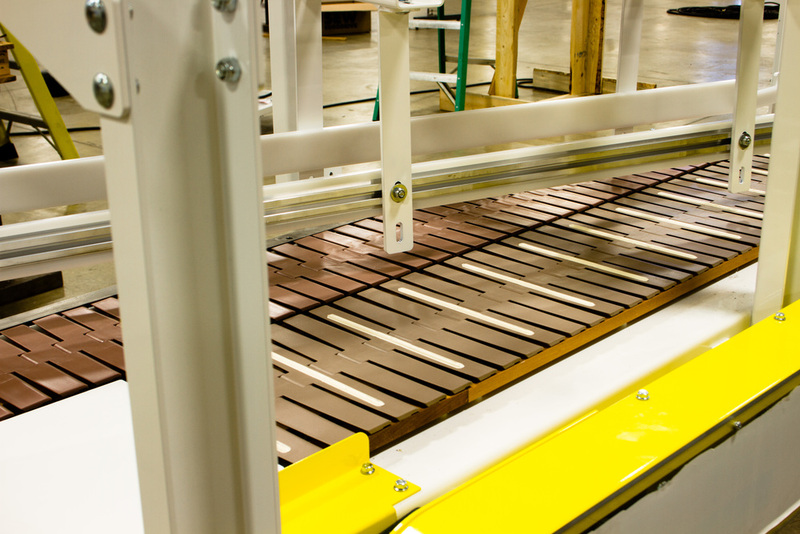 You can use multiple lines on a large frame to create a single filer or extra space for product accumulation. 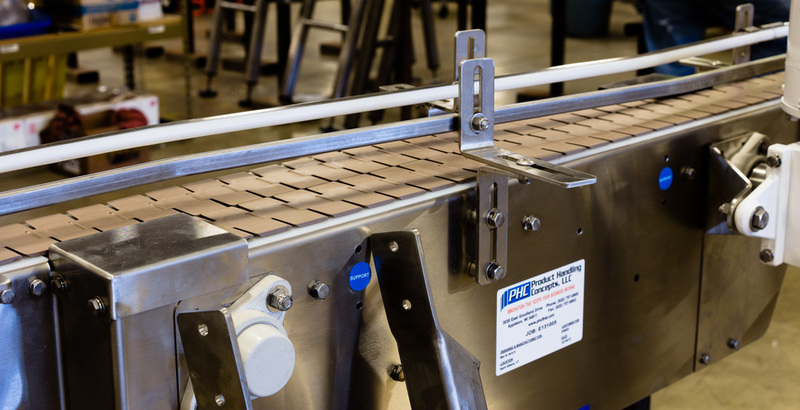 More specialized variations of table top chain are used in manipulation devices such as grippers and helical twists.